In number-one New York Times best-selling author Charlaine Harris’s story "Playing Possum", Sookie Stackhouse brings enough birthday cupcakes for her nephew's entire class but finds she's one short when the angry ex-boyfriend of the school secretary shows up. 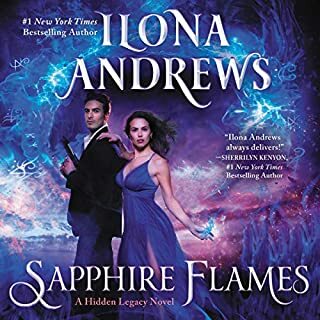 When her guardian, Kate Daniels, sends her undercover to a school for exceptional children, teenaged Julie learns an all-new definition of "exceptional", in New York Times best-selling author Ilona Andrews' "Magic Tests". For those who like fangs with their forensics, New York Times best-selling author Nancy Holder offers "VSI", in which FBI agent Claire is tested as never before in a school for Vampire Scene Investigation. And in New York Times best-selling author Thomas Sniegoski's "The Bad Hour", Remy Chandler and his dog Marlowe find evil unleashed in an obedience school. 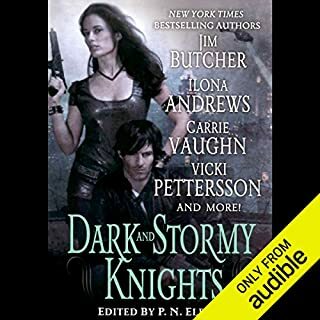 ©2012 Charlaine Harris, Inc., Toni L.P. Keller, and Tekno Books (P)2012 Brilliance Audio, Inc.
All the stories are available in other anthologies. If this is your first collection of short stories, then have at thee...good listens. Where does An Apple for the Creature rank among all the audiobooks you’ve listened to so far? Middle of the pack. Good read (listen) from some very good authors. Would you recommend An Apple for the Creature to your friends? Why or why not? I like these collection of stories to introduce myself to other authors. I found Ilona Andrews Kim Harrison and many others from these shirt story collections. A great way to sample various authors in one setting. These were shirt stories. Some action, some humor, some paranormal creatures. I have quite a few of these collections from Harris, butcher and others. I think they are great for author introductions to the listeners. Some of the stories are really great, a few not so good, and so I skipped through those, hence the 4 stars for overall and for story. Narration was excellent (although I consider it a True Crime for anyone but Khristine Hvam to narrate Faith Hunter even if Jane wasn't in this particular story). All in all, worth the credit, and I'm sure I'll listen to it again. I'll admit I only bought this collection for the Ilona Andrews title 'Magic Tests' short story but was hopeful to try out some other authors. However, Angela Dawe's sing song, emotionless delivery was pretty grating. Every sentence is expelled with a flat monotone at the end and a 2-3 second pause with hardly any discernible characterization for the various speakers in the story. It was more fun to read than to listen to. I'll be avoiding her future efforts. I'll try some of the chapters with Luke Daniels narrating later on. Hopefully his delivery is better. Would you try another book from Charlaine Harris (editor) and Toni L. P. Kelner (editor) and/or Angela Dawe and Luke Daniels ? I found some of the stories really good. Sadly, most of them didn't hold my attention. I found myself saying, "Alright, lets finish this and onto the next story." I didn't even finish this book. As soon as my next credit was available, I deleted this and was listening to my next book. I wouldn't have wasted a credit on this if I had known. 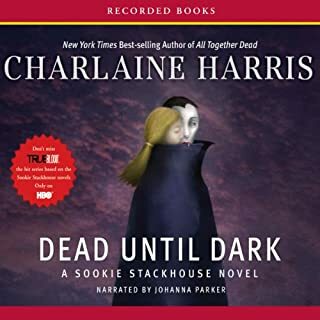 I really like the Sookie books and all I saw was Charlaine Harris and bought it. Better luck next time. Would you listen to An Apple for the Creature again? Why? I have listened to this title several times. What was one of the most memorable moments of An Apple for the Creature? What does Angela Dawe and Luke Daniels bring to the story that you wouldn’t experience if you just read the book? I will admit it...99% of the reason I bought this book is because Luke Daniels was one of the Narrators. I am very very picky about audiobooks because a bad narrator can kill an excellent story. So far I have not been disappointed by Luke Daniels. And Angela Dawe...this is the first book I listened to that had her as a narrator. I think she was a great narrator because she made me want to listen to stories I probably would have skipped over, Like the Sookie Stackhouse Story. I don't think it is fair to rate against ALL the Audio Books I have read. I have been an Audible member for 13 years and I have a LOT of books in my library. Where it rates among the Short Story Urban Fantasy compilations I have read.... I'd say about 5th. Not the worst but honestly not the best. I like Urban Fantasy but only in short story format. I tried reading a full Jim Butcher novel and kept skipping ahead. Would you be willing to try another book from Charlaine Harris (editor) and Toni L. P. Kelner (editor) ? Why or why not? Sure, again. I have developed a liking for Urban Fantasy Short Stories. If your looking for a Sookie stories... Its not. There are several good short stories but I was expecting more by Charlaine Harris but it was just one short story.There were a few other good authors but there were several I needed to skip. The first story with Sookie but that was very good at best. The narrators were good, not great but not bad. This is a mixture of short stories by several authors so i don't think that really applicable. I gave this four generous stars. It's okay at best. ANOTHER HIT OUT OF THE PARK FOR MS. HARRIS! I surprised myself when I absolutely loved every single story in this collection! Usually there are at least one or two that can be left alone. Not here; i love them all! great narrators also! Highly recommend to all! 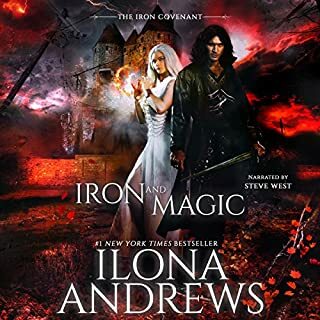 I bought this one for Ilona Andrews, but enjoyed most. I did find some authors new to me to try. Highly recommend, great for short periods of listening, will be trying out some of the authors longer stories!